Sea Pacific Limited’s vessels continue to play the lead role in carting water to affected areas around the country. The company’s two vessels MV Kusima and MV Waitui are being hired by Government to transport water to the Northern and Western division. Operations Manager Josaia Naisoro said they were glad to have been chosen to assist these affected islanders. “Our vessels have been the choice of Government more often due to their ability to anchor on shallow waters meaning we transport goods right to the shoreline,” Mr Naisoro said. Mr Naisoro said the MV Waitui is serving people in the Western Division including Yanuca, Vatulele, Malolo and the Yasawa Group of Islands while the MV Kusima catered for islands in the North including Yadua, Yacata, Cikobia, Kia, Rabi and upper Udu Point. He indicated that apart from Government charters, their vessels are also hired by resort owners all over the country to also cart water to them in this dry season. 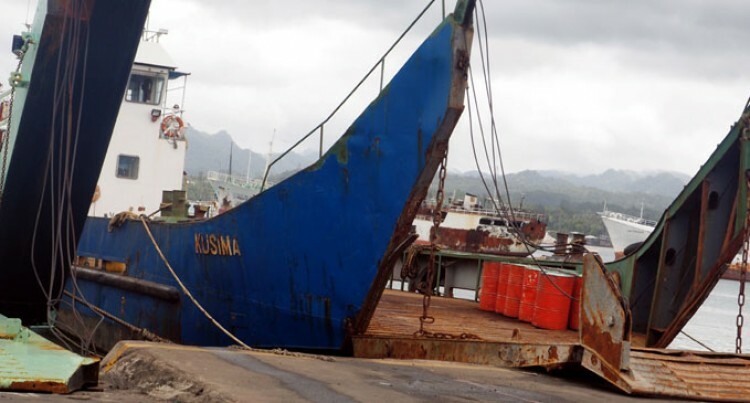 MV Kusima left for Kadavu on Monday night, carting water to resorts. Mr Naisoro said transporting rehabilitation supplies is next on their agenda.